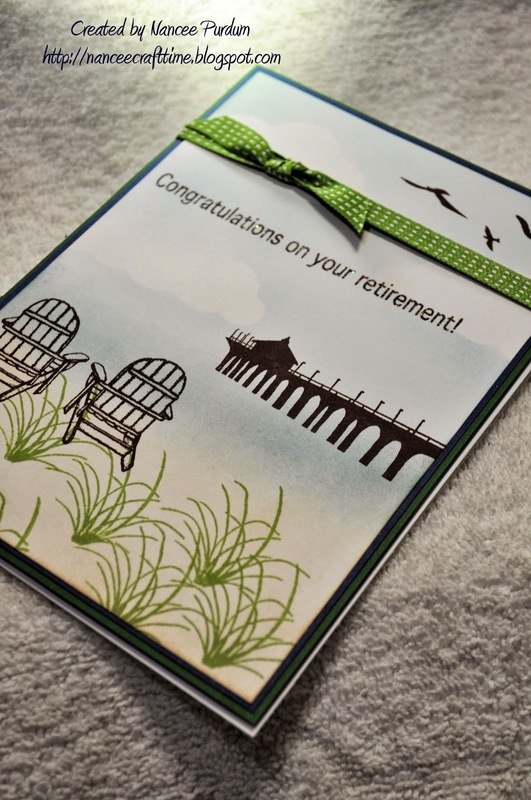 With all of the cards I have made, I have never made a retirement card. I decided to make a simple card using just stamps and ink. 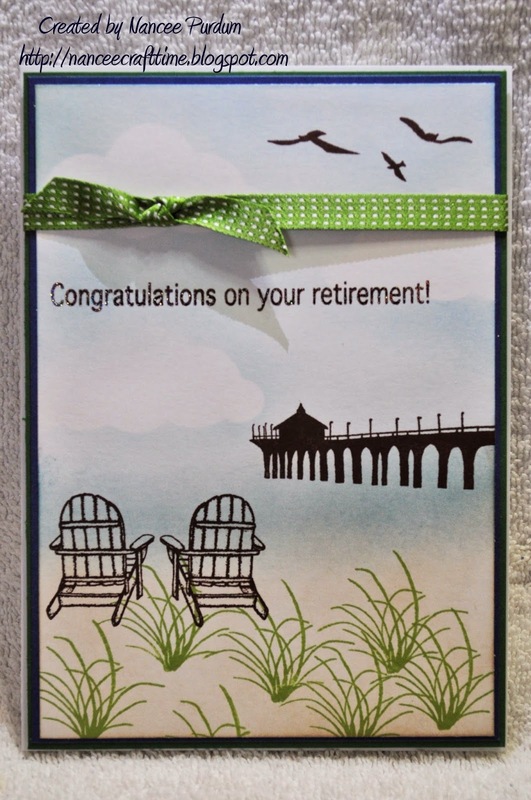 I colored the background with Distress Inks and then stamped the images on top. The stamps are from Gina K. I added some ribbon from Stampin Up to add something to the top of the card to balance the front of the card. 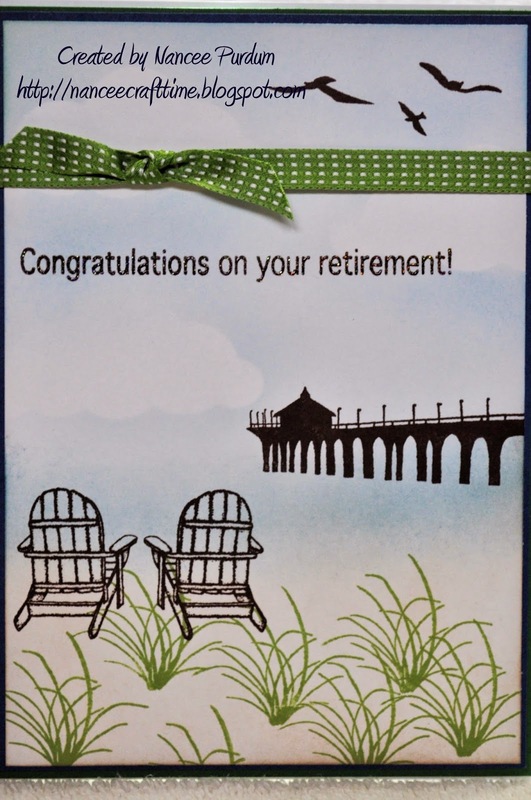 This was a quick and easy card, but I was happy with the way it turned out. Wonderful Nancee! Love the scene you stamped! Awesome work! Beautiful scene you created, Nancee!